I purchased a lovely iridescent Metallic Martian Badge. 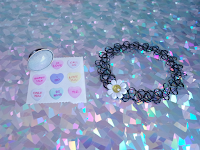 Honestly I've received the sweetest compliments and been recommending (irl), so it was just a matter of time to, finally, share online with a blog post. 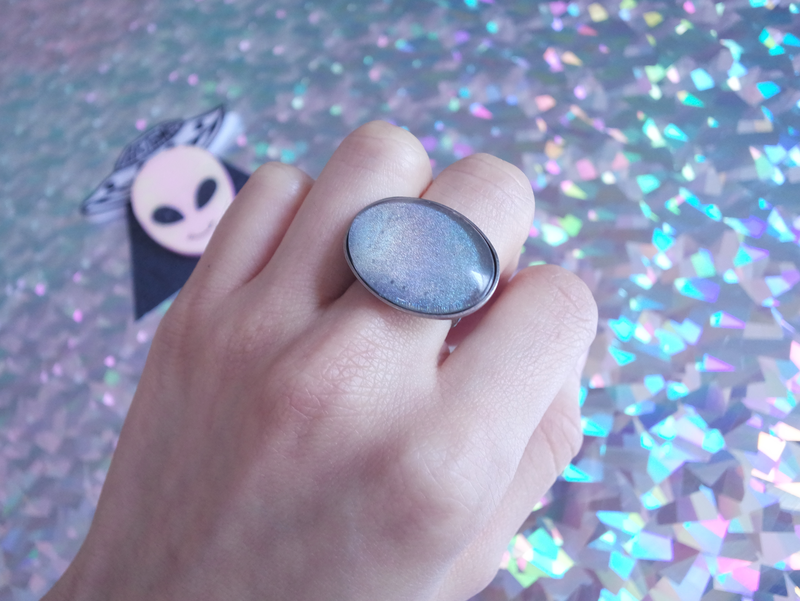 Seriously, isn't it the cutest martian you've ever seen?!! Everything I received is so well made and not to mention the darling packaging, like wow; ♥‿♥ it blows me away because everything is just so perfect! 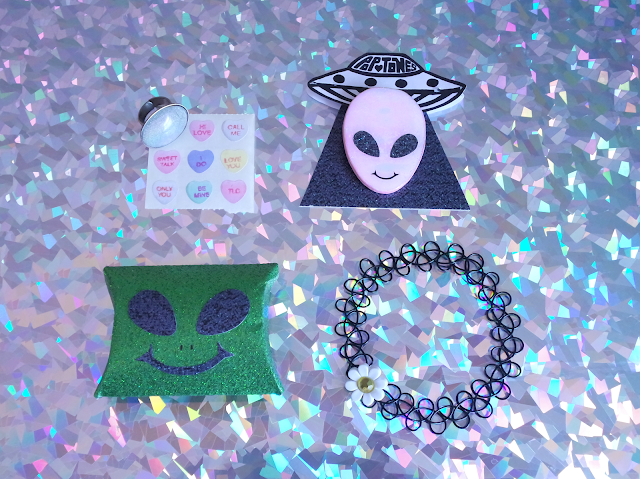 Marlena of Self Constructed Freak posted a 10% off promo code for her Storenvy, Pop ♡ Tones. Ahhh I love Marlena! 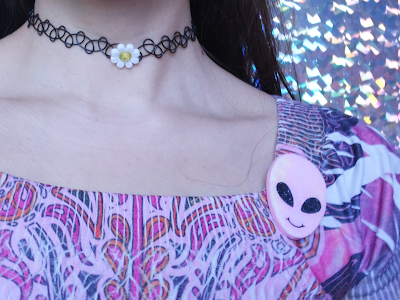 On one of my recent blog posts I'm wearing a brooch/ badge that I bought from her shop last year.<33 I've been dying to get my hands on one of these aliens! !